Unique luxury Emerald and Diamond Tiara goes under the hammer on May 17 at one of the most important Magnificent & Noble Jewels auction by Sotheby’s in 30 years. 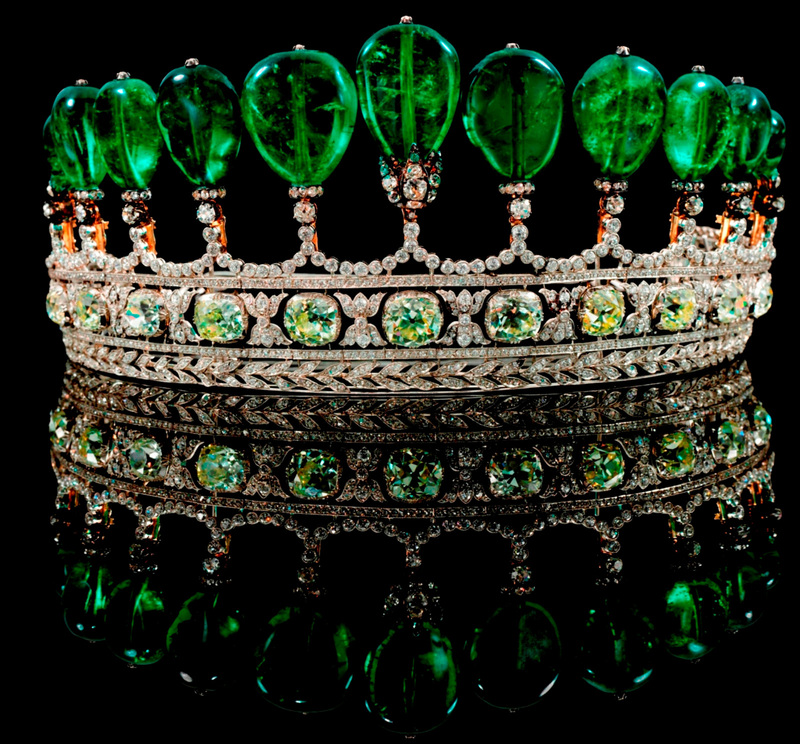 The tiara was created with 11 pear-shaped rare Colombian emeralds that collectively weigh over 500 carats. 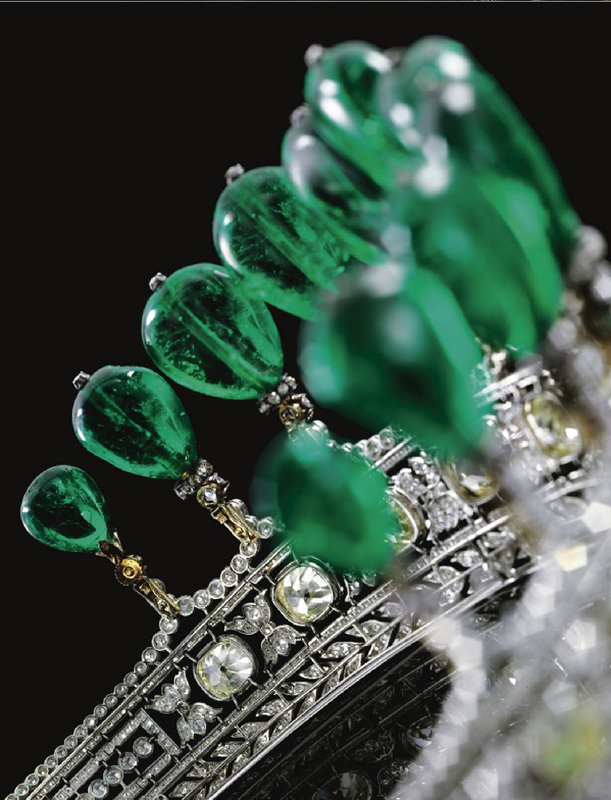 Each emerald has been drilled and held in diamond set cusp motifs, the nine largest tipped by rose diamonds, mounted in silver and gold, later detachable tiara fitting. It is expecting that it will be go for a hefty $10.6 million and lower estimate is $5.3 million. It is believed that the tiara was commissioned sometime during 1900, possibly from the renowned jewelers Chaumet, by Guido Count von Henckel, First Prince von Donnersmarck, for his second wife Princess Katharina.